I had my job evaluation last month. The good news? I get to keep my job, and I am even more energized and focused than ever. The bad news? Most teachers never get the kind of feedback I received. For me, this performance evaluation was a teacher leader’s lifeline. While teaching, my evaluation usually consisted of a short classroom observation by an administrator followed up by an even shorter conference to discuss the lesson. Now, as a Teacher on Special Assignment, my new evaluation differs pretty radically—and necessarily so since my new job is so different. When I began this job a year ago, my boss Sharon, the assistant superintendent of schools, asked that I list three goals for my new role as coordinator of secondary induction and professional development. Once approved, it became my responsibility to work toward achieving them and to gather evidence of my success. The year was a full-to-bursting of diverse responsibilities: orienting new teachers in the profession, delivering workshops on a great many topics, hosting an EdCamp and an UNconference, and developing instructional leadership teams on all seven secondary campuses in Burbank. I asked Sharon to observe meetings whenever possible and to attend my workshops and PDs. Thankfully, she was able to see bits and pieces of more than a dozen in order to get a strong sense of my capabilities. Last month, in preparation for my evaluation meeting, Sharon asked that I revisit my goals. She wanted me to be prepared to discuss how I felt I had done this year and to chart next steps for the year ahead. The act of returning to my initial goals was surprising and gratifying. I had achieved two goals and had plenty of evidence to support my success. My third goal proved to be much more challenging and multi-faceted than I originally thought. My task was to create teacher leader teams at each high school. Teams were tasked with driving instructional improvements based on best-practices; my mission, in turn, was training the team to deliver effective PDs for their colleagues. I incurred multiple barriers along the way— from intense gate-keeping by principals who weren’t convinced an investment in building teacher leadership was a smart move to a lack of willingness on the part of teachers themselves (change is scary). In the end, I wasn’t able to make the kind of headway with this as I had hoped. I was disappointed and lamented on my seeming failure to my boss. By pushing me to widen my view of what success looks like, Sharon helped to stave off burn out and steered me away from becoming demoralized by the tough turns of the job. As a classroom teacher, I am used to “turning the ship” of my students’ success, but teacher leadership is different. Like any great teacher, I wanted more to happen faster and I had worked pretty doggedly to get it done. Having to wait for change is hard for me. Sharon reminded me that I can still harness that same sense of urgency and invest it in steady work toward the vision. Staying the course over time will lead to success; working with adults will just take more time than this impatient educator is accustomed to. This week I got confirmation when one of the high school principals asked me to meet with her. She said that the teachers I had worked with last year had asked to work with me specifically, and that she was hoping we could coordinate efforts together this year. It took a year of hard work for that gate to open, but now that it is, I’ll definitely be the first one through. If you find yourself entering the uncharted territory of being a teacher leader, chances are you’re writing your job description as you go. In this wonderful new frontier where teachers lead teachers, much is new and much is unknown. What I do know is that without the support of leadership, and their commitment to guiding my development, I would be just getting by, not getting ahead. 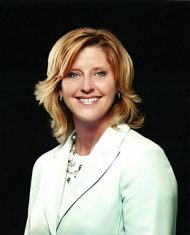 Rebecca Mieliwocki is the 2012 National Teacher of the Year and a member of the National Network of State Teachers of the Year (NNSTOY). A 20-year veteran English teacher, Mieliwocki is currently on special assignment for her Burbank, California, district.